Download the Deduction at Source Application Form! The PDFORRA Member joins PMAS. Discuss your referral with a Medical Officer. Contact PDFORRA MAS by email (mas@pdforra.ie). PDFORRA MAS authorise the consultation with Kingsbridge Private Hospital. The patient attends a consultant in Kingsbridge Private Hospital. An application to proceed is made to the Health Service Executive. The HSE provide prior authorisation for access to the healthcare confirming the patient will be entitled to reimbursement. The member receives the necessary treatment in Kingsbridge Private Hospital. The patient receives aftercare in Kingsbridge Private Hospital. The Health Service Executive reimburse the members ANSAC Credit Union loan account. PMAS pay any ANSAC Credit Union shortfall to close the loan account. Private Medical Care including Private Casualty. They treat a wide range of injuries and ailments with no appointment required. Call +44 (0)845 6006 352. It has lots of valuable information. 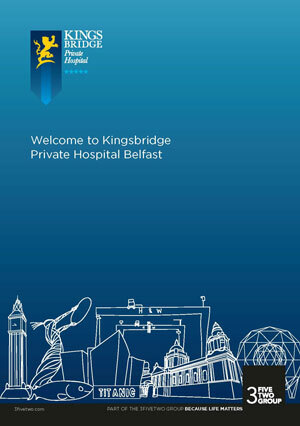 Please click the image below to open the brochure from Kingsbridge Private Hospital. 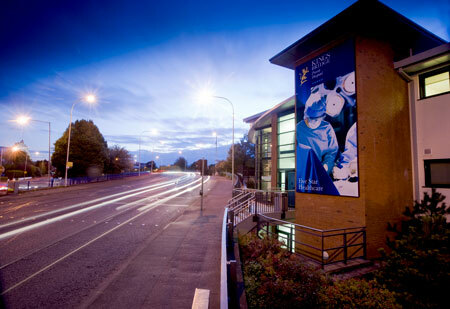 The brochure offers discounts for members travelling to Belfast, who wish to stay before or after appointments. For anyone that's having thoughts about joining the PMAS. From my own experience after joining and having gone through surgery in Kingsbridge hospital, I have nothing but good things to say about the whole process from start to finish. Having attended the information seminar in barracks I applied to the scheme immediately as I was on a waiting list for eye surgery for over 2 years. I have to say, when I first heard about PMAS, I thought how can this be real? How could we possibly get private health insurance for €1 a week? So I signed up and got my referral from the doctor in St Bricins to go up to Kingsbridge Hospital. I needed surgery on my back and was informed that it would take at least two years on the public waiting list. I’d heard about the PDFORRA medical assistance scheme and I contacted the PDFORRA national office for further information.